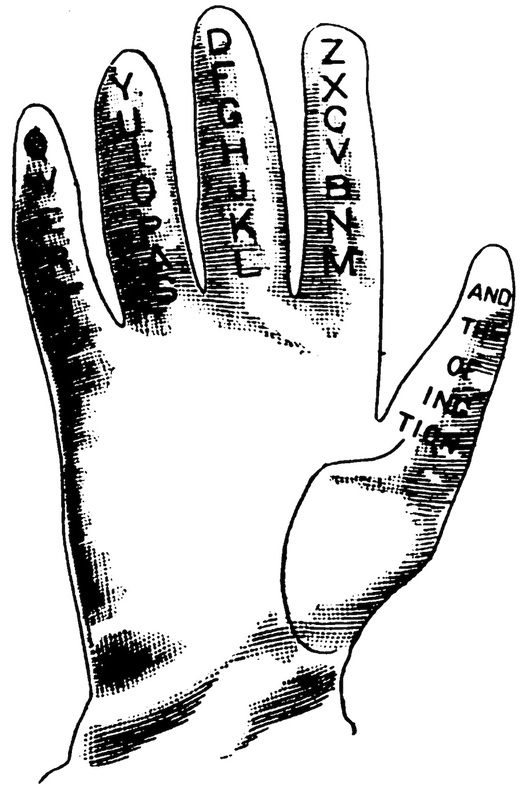 From the Phonographic World, December 1891. 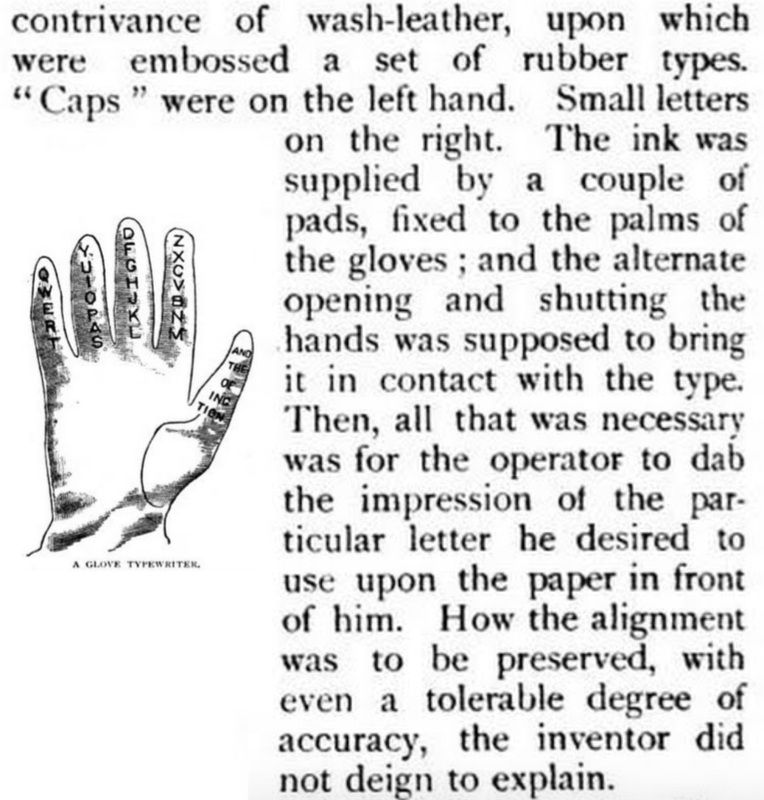 The Strand also mentions this item in 1897 in a piece about the evolution of the typewriter. The Antikeychop also mentions the Gamper Glove Typewriter, which dates to 1935 (see here). I like how The Strand counted it among the “crop of cranks”! Interesting produce. How well does it work?